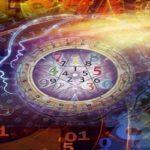 Numerology is the science of numbers that involves the process of breaking down the patterns of the universe into numbers. There are many disciplines of numerology, and the most known are Chaldean, Pythagorean and Kabbalah. Chaldean Numerology: In this type of numerology the single digit numbers represent a person’s outer personality. On the other hand, double digits indicate a person’s inner personality. Since the number 9 is considered as a holy number, it is best avoided. Pythagorean numerology: In this type of numerology, a person’s name and their date of birth are used. Here the numbers 1-9 are used for analysis, whereas the numbers 11 and 22 are known as “master vibrations” and are less considered. Kabbalah Numerology: This type of numerology was developed for the Hebrew alphabet, and has only 22 vibrations ranging from 1 to 400. Have you heard about Company name numerology? 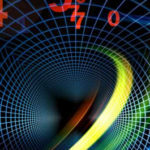 Company name numerology helps you to choose the best name for your company or business. As per numerology an appropriate name for your company plays a very important role and provides positive vibration to your company. Your business name should carry a powerful energy so that you can gain a great success and improvement in your business. Since the company name determines the destiny of your business, it can attract better leads with the help of name numerology and generate more business. Since your business name provides insight into your life, get the help of the best numerologist to frame a successful company name for your business. Are You Ready to Taste the Magical Essence of Numerology? 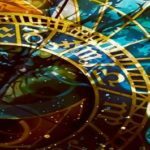 Here are the Reasons Why Numerology is Important in Your Life!